Transmission w/Driver Selectable Mode and Sequential Shift Control w/Steering Wheel Controls, Tires: 255/40R20 Fr & 295/35R20 Pirelli P ZERO, Tire Specific Low Tire Pressure Warning, Special AML Color, Black Bodypack, Red Brake Calipers, Comfort collection, Tech Collection, Stitching/Welt, Contrast Color, Sports Plus Collection, Aston Martin wings in Headrest, Magnum Silver Front Grille Mesh, Directional Gloss Black DT Wheels, Tailgate/Rear Door Lock Included w/Power Door Locks, Systems Monitor, Silver Grille, Side Impact Beams, Rocker Panel Extensions, Right Side Camera, Remote Releases -Inc: Power Cargo Access and Power Fuel, Remote Keyless Entry w/Integrated Key Transmitter, 2 Door Curb/Courtesy, Illuminated Entry and Panic Button, Redundant Digital Speedometer, Rear-Wheel Drive, Rain Detecting Variable Intermittent Wipers w/Heated Jets, Radio: Aston Martin DAB AM/FM Audio System -inc: 8.0" LCD screen, iPod and iPhone integration, USB playback, A2DP Bluetooth audio and phone streaming and integrated satellite navigation system. 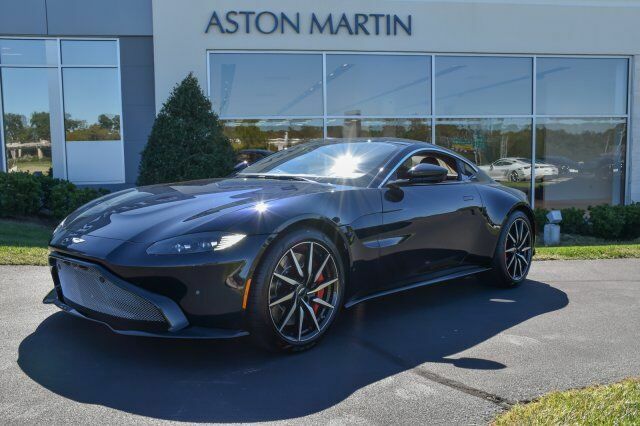 For a must-own Aston Martin Vantage come see us at Foreign Cars Italia, 5603 Roanne Way, Greensboro, NC 27409. Just minutes away!